We are delighted to welcome author E.C. Diskin to Omnimystery News today. E.C. 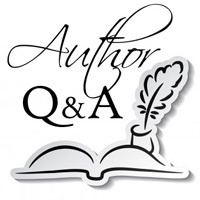 's second novel of suspense is Broken Grace (Thomas & Mercer; August 2015 trade paperback and ebook formats) and we recently had the opportunity to spend some time with her talking about her books. Omnimystery News: Introduce us to the lead character of Broken Grace. What is it about her that appeals to you as a writer? E.C. Diskin: Grace Abbott, my lead, is a fragile, lost twenty year old. She's in that space between adulthood and childhood when kids make a lot of stupid mistakes and are still trying to figure out who they are. In this case, Grace is literally having to do that since she's had a traumatic brain injury. I liked working with a girl this age because she was not easy to really know and yet easy to relate to. OMN: Both of your novels to date have been stand-alones. Have you considered writing series novels? ECD: So far, I haven't yet started a story knowing it would be a series, but depending on how it evolves, it becomes a possibility. My first book, The Green Line, will probably have a sequel. I didn't originally write it with that in mind, but my first agent saw series potential which challenged me to think of where I might take the characters. By the time it was ready for publication, I had a good sense of what I wanted to happen next and looked forward to another adventure. And it seems that lots of TGL readers are interested in continuing stories with the characters, and so that remains "the plan." However, a sequel to TGL is no where near ready and I keep getting sidetracked. I've decided that if a few years go by before those characters re-emerge, that's okay. With the current book, Broken Grace, it is truly a stand-alone. I don't want to answer any questions that might come up as a reader ends this story — I think that's part of the fun — I'd like them to debate what might or should happen next for the characters. ECD: I have a basic idea for a story when I begin, and sometimes it helps, early in the process, to write a biography for a character in order to just get him or her fully developed in my mind, but every plot idea leads to research, which inevitably leads to changes or new subplots or characters. I try to outline because I'm not one who can just "write and see where it goes." I need a sense of where I'm going, but I try to remain open to new paths even when I'm not sure what they might do to the story. It's kind of like a road trip — I want to be open to checking out strange signs, small towns, gravel paths off the main road. Sometimes they're dead ends or wastes of time, but sometimes they make the whole adventure. For example, with Broken Grace, I had a general sense of the story before I put pen to paper — it was just this idea that came to me as I was falling asleep one night — and as I developed the characters, some ideas required research. The research would then lead me to re-think some bits while inspiring all new characters and subplots. In the end, the story became far more twisted than my initial thoughts. OMN: How do you go about researching the plot points of your stories? Have you come across any particularly challenging or exciting topics? ECD: With Broken Grace, I wanted to be sure that there was credibility to the situation — the police investigation, the jurisdictional issues, the medical realities of someone who'd suffered a TBI, broken ribs, and collapsed lung, the drugs prescribed, etc. I don't know where I would be without the Internet, and I used it constantly — and got sucked into a black hole of research sometimes for hours — but that's part of what I enjoy about the process. When I didn't find the answers online, I turned to pros to help. I had some great e-mail exchanges with a Michigan prosecutor and a police chief from the area. And my neighbor and dear friend is a brilliant doctor who helped me with the medical issues of my main character. But as far as what was most exciting to research, I'd have to say it was researching the drug, Scopolamine. I kind of stumbled into it and there were so many crazy stories about it on the Internet that provided mounds of inspiration. When my husband first read the book, he said, "that drug, Scopolamine — you made that up, right?" And I was like, "NO! That's real, and it's unbelievable!" ECD: With both of my books, the settings are real. I take some minor liberties but I try to be a stickler for detail. I think it's fun, as a reader, when you're familiar with the area where the characters are living or interacting, but if you're going to have that realism, you've got to get the details correct. I've spent time looking at maps to be sure I knew the routes a character would travel, how long it would take, what the traffic would be like at certain times, etc. OMN: If we could send you on an all-expenses paid trip, anywhere in the world, to research the setting for a book, where would it be? ECD: Australia? Hawaii? I don't really know, but those places are on my bucket list and I don't know if I'll ever get there if someone else isn't paying!! OMN: Complete this sentence for us: "I am a suspense novelist and thus I am also …". OMN: How did your books come to be titled? ECD: I didn't worry about a title until the story was completed. Until the story is finished, really finished, I don't know if there might be some great phrase that could be used or some perfect word for the title. With Broken Grace, like The Green Line, I had several ideas — but then I researched them and bounced them around with my small group of trusted readers — like a focus group. If there were a lot of books of that or a similar title — I moved on. In both cases, when I got to these titles, there was just a general consensus of, "I like it" from the group. ECD: I worried about the cover a lot with Broken Grace because this was the first time that I didn't feel totally in control. When I published The Green Line, I had total creative control because the cover designer I hired worked to produce my vision. When Thomas & Mercer bought the rights to that book, they liked the cover, so nothing changed. But this was my first time where I'd sold an unfinished manuscript and had this creative team dealing with production. I was told I'd have input, but I didn't know how much and wondered what would happen if I hated what they showed me. Fortunately, it was a great experience. I was asked up front, what my vision was for the cover, what covers I liked — that had a similar vibe — what style I was going for, even what fonts. So I gave them all that information, and then when I was presented with choices, and voiced my opinions, both good and bad, they really listened. There was a great sense of team effort and in the end, I was really happy with what they created. OMN: Suppose your books are optioned for television or film, and you're asked for input on who should play the lead roles. What are you telling them? ECD: I don't know if I should say what actors I could see playing the parts, because there is this dreamer in me that holds on to the fantasy of just that happening. And I know EXACTLY who I'd hire, at least for a few of the characters. But — what if the studio can't get her? What if someone else great comes along …? Yes — I'm a bit delusional that way, but I don't want to jinx it. I researched IMBD and looked at actors — mostly because I wanted a face and physicality to envision while writing — but it means that I do actually have specific actors in my mind for all the main characters. E.C. Diskin received a B.S. from Texas Christian University and a law degree from DePaul University College of Law in Chicago. After several years in practice and a drawer full of story ideas, Diskin joined a writers group and began work on her first book. She lives with her family in Illinois, with a cool old boxer and a sweet baby Cavapoo. For more information about the author, please visit her website at ECDiskin.com and her author page on Goodreads, or find her on Facebook and Twitter. On an icy winter's day in southwest Michigan, Grace Abbott wakes up as the survivor of a car crash. But she's left with a traumatic brain injury and a terrifying reality: she can't remember anything. Left in the care of her sister, Grace returns to the family's secluded old farmhouse to recover — but within an hour of her return, the police arrive. Grace's boyfriend has been murdered. Without any memory, Grace has no alibi. With suspicion weighing heavily on her and flashes of memory returning, Grace searches for clues to her past. But with every glimpse, her anxiety grows. There is something about the house, her family, her childhood … perhaps the accident isn't the only reason she can't remember. Are the dark recesses of her mind hiding something even more sinister and terrifying than she could ever imagine?